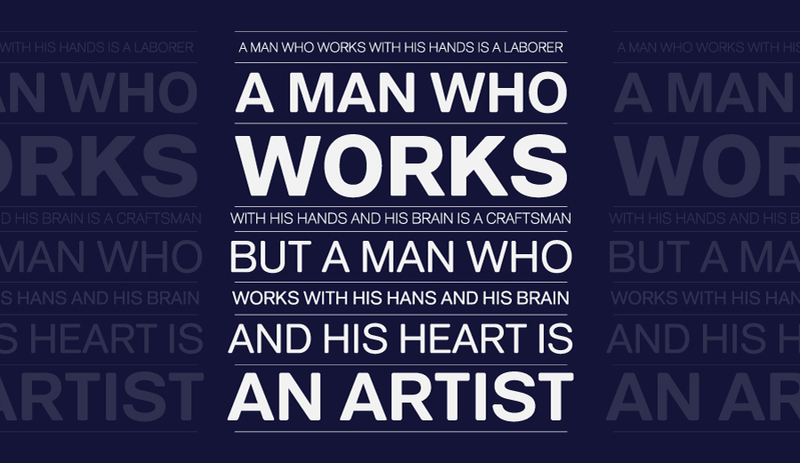 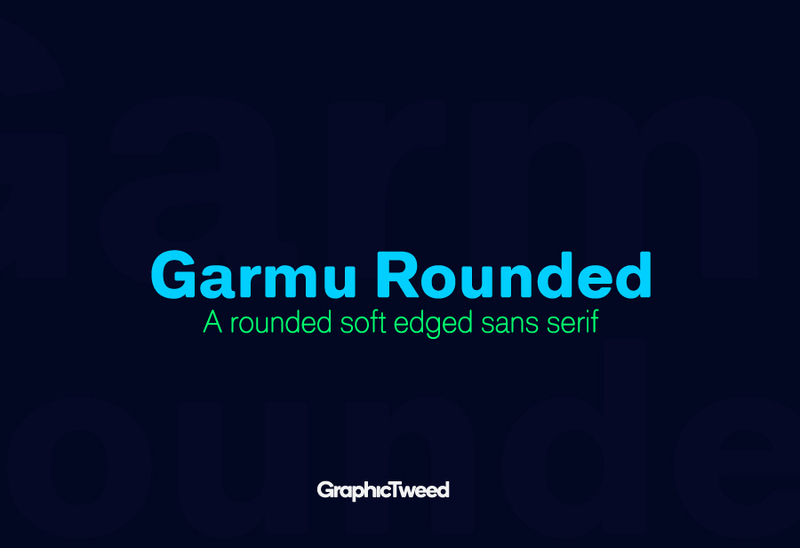 Allow me to introduce to you Garmu Rounded: A rounded sans with soft edges. 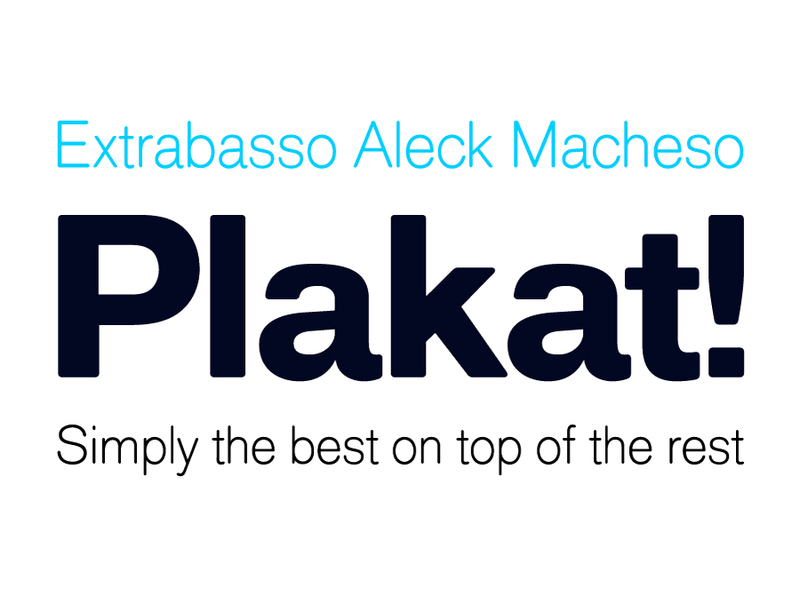 Its modern streak which is the result of harmonization of width and height especially in the lowercase letters to support the best legibility possible. 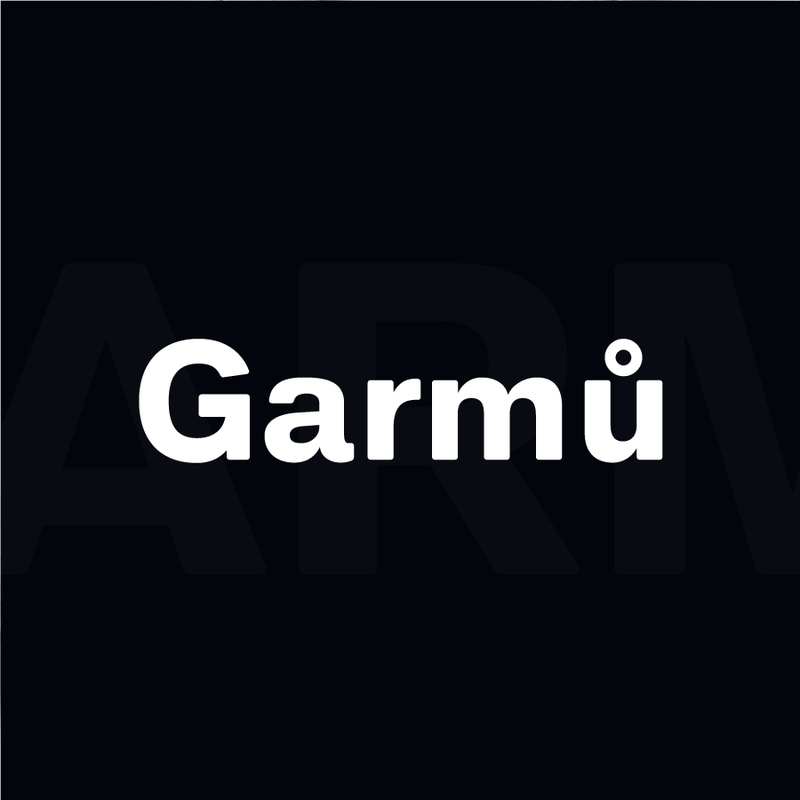 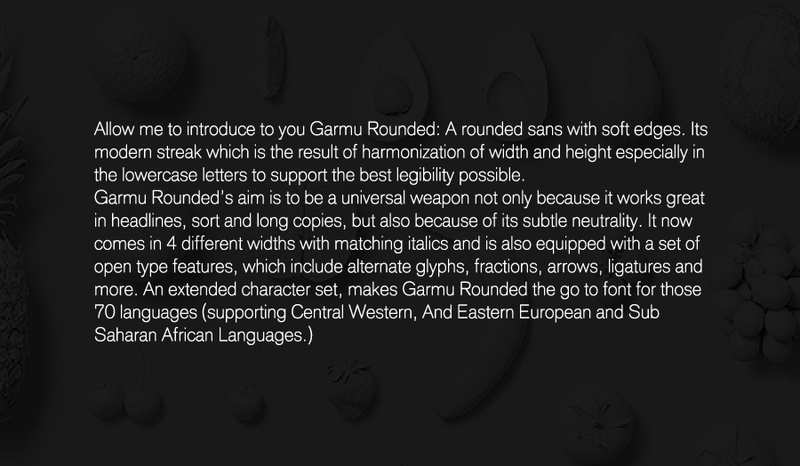 Garmu Rounded’s aim is to be a universal weapon not only because it works great in headlines, sort and long copies, but also because of its subtle neutrality. 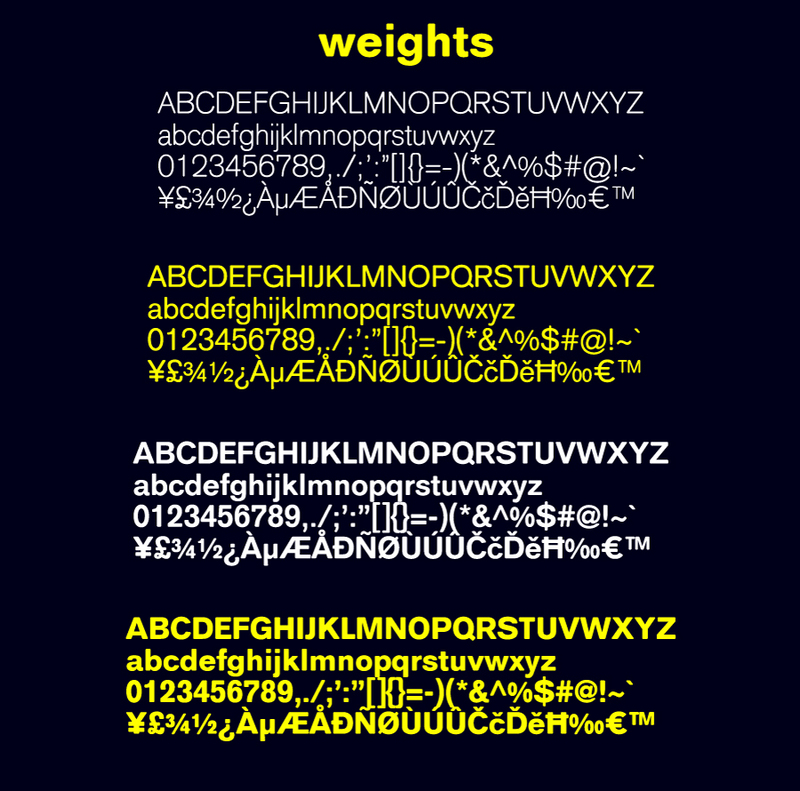 It now comes in 4 different widths and is also equipped with a set of open type features, which include alternate glyphs, fractions, arrows, ligatures and more.